Elephant Snails are usually found in pools, crevices or under large stones. The soft black parts of this snail and the white simple shell, which looks like a shield, make it easy to identity. 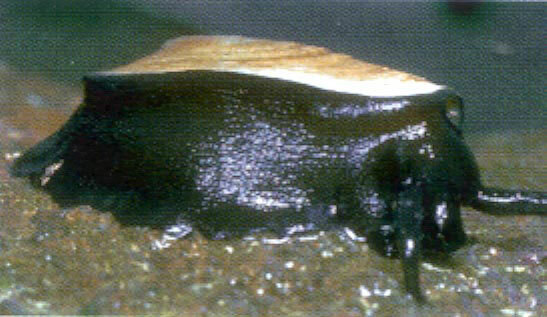 Elephant snails are members of the limpet family, although the shell is smaller than most limpets. The shell is often covered by the black mantle.